A bit late for the 2013 PROMPT D211 Photo competition…. “You may not remember us but myself and 4 mates hired your very comfortable Prompt bikes in early June this year. 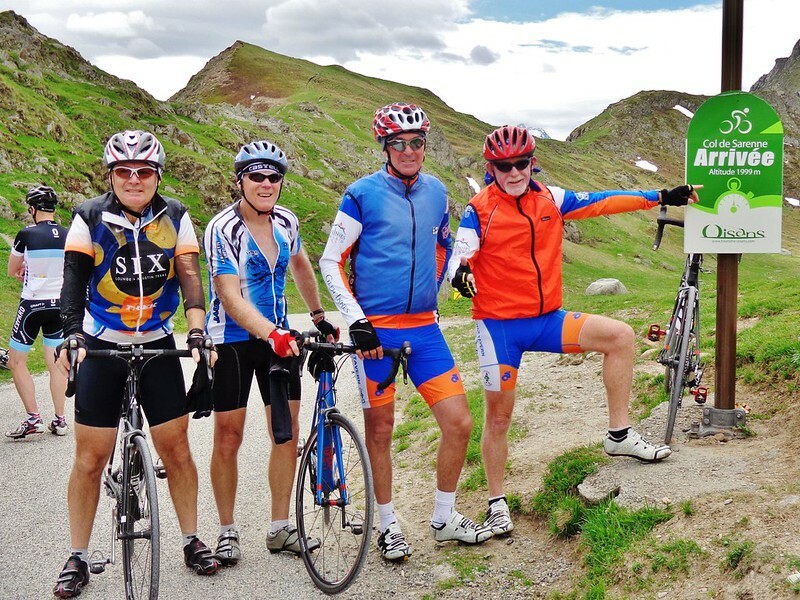 We had the best time climbing the Alp d’Huez, Col de Sarenne, Notre Dame, and all the other great rides in the area. The experience had during those 9 days made a long time dream of mine come true and hopefully we’ll be back to hire your bikes again soon. Attached is one of many photos we took during the 9 days but it was the most satisfying of all our rides, climbing up the “backside” of Alp d’ Huez via Col de Sarenne. We tell people back in Australia we did it the hard way, not like the pros in Le Tour! This was the hardest cycling achievement I have had and at 65 years old, can’t leave it too long if I want to eclipse that!